Highpark Developments Ltd and REA GRIMES recently released these architecturally designed 4 bedroom detached homes to the market. This highly anticipated development, comprising of only 6 homes at present are set on large private sites in a mature setting on Bachelors Walk. 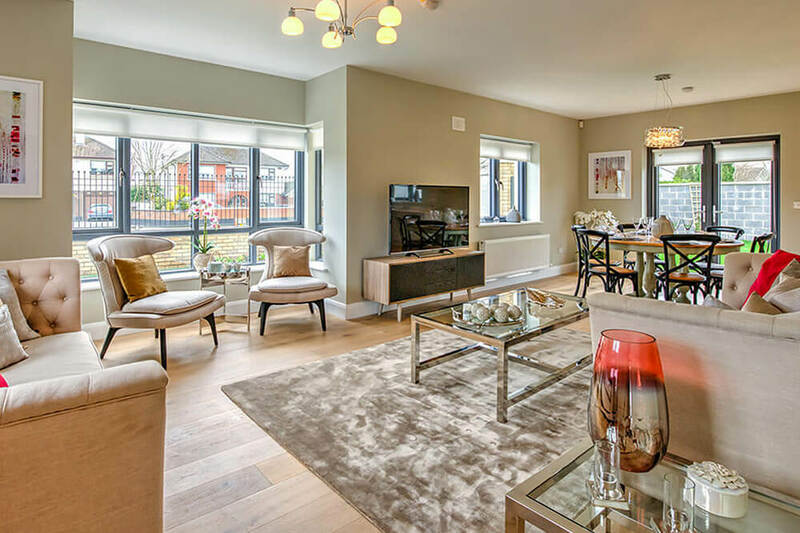 These elegant family homes meet the exacting standards of modern lifestyles with two house types at The Oaks featuring modern open plan kitchen/ living & dining layout with the added feature of a separate living room. Type A (183 sqm) have feature bay windows to the side of the house at ground and first floor while Type B (181 sqm) have a bay window to the front of the house on the ground floor. These fine houses are A3 BER rated with many energy efficient features including photovoltaic solar panels, high level of insulation to walls, floors and roof and double glazed PvC windows.